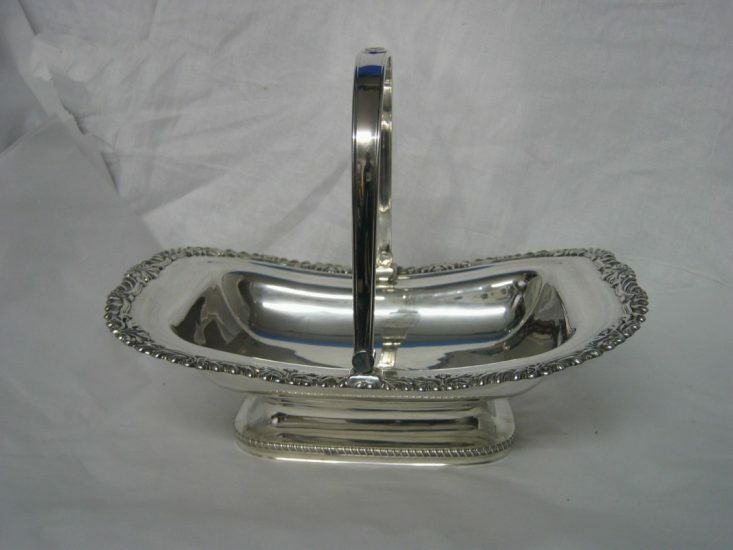 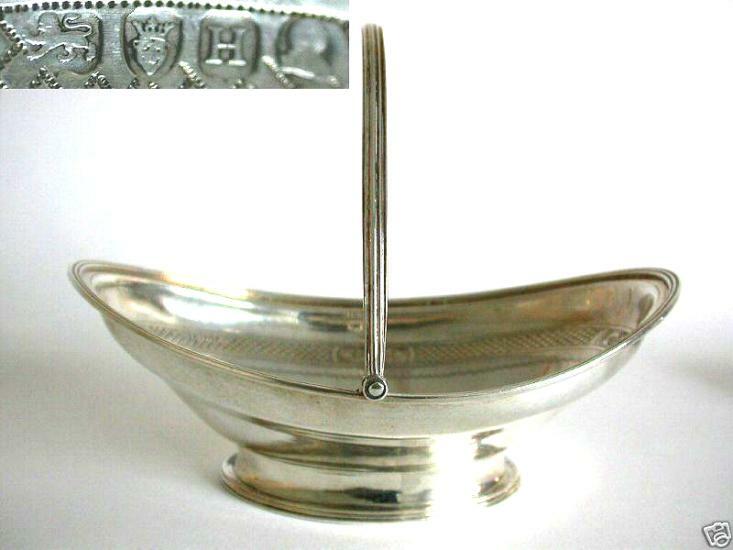 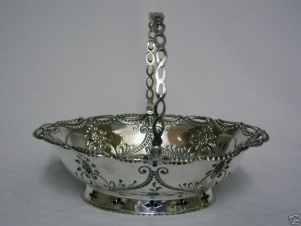 The silver cake-basket is a type of basket, usually circular, oval or boat-shaped, with everted rim and high arched bail handle, sometimes fixed but more ofter swivelling. The sides are usualli of pierced work. The basket usually rests on a supporting rim or, sometimes, on ornamental feet. 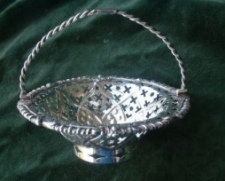 Some basket are made with wirework. 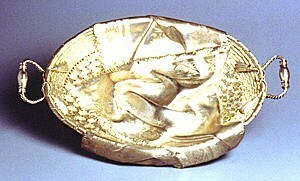 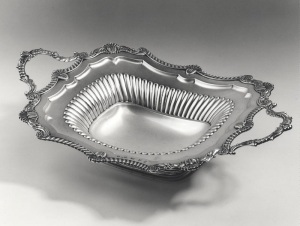 The silver bread-basket is similar to cake-basket. It is indistinguishable from cake-basket, except when a wheat motif is included in the decoration. 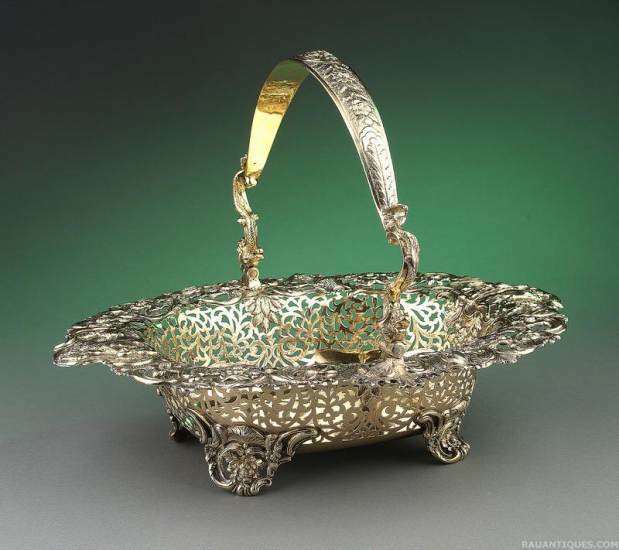 Pierced silver baskets began to be made in England in the late sixteenth century. 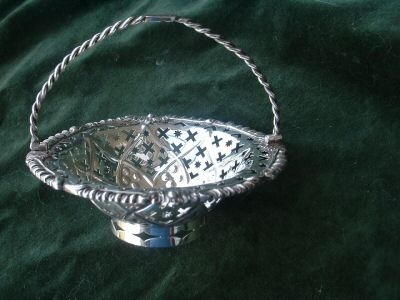 Like most silver containers, these baskets could have been used in whatever way their owners chose. 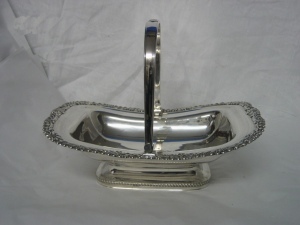 They are even mentioned as being used to hold wool and sewing materials. 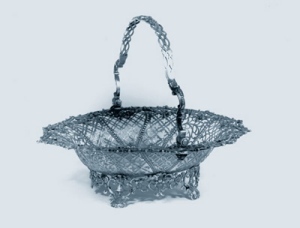 English examples used in this manner are difficult to identify, but late eighteenth-century Dutch baskets about six inches in diameter survive in the Netherlands and appear to have been inspired by English models. 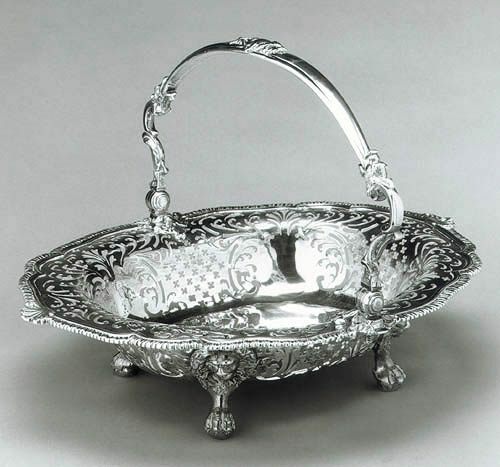 Evidence suggesting that English Silver baskets were intended for fruit or sweets is found in the epergnes, or centerpieces, with small pierced hanging baskets made by silversmiths like Thomas Pitts (w. 1744-1793) in London during the late eighteenth century.